at his clinic located at 73 Rue Defacqz 1060 Bruxelles Belgium for men and women with hair loss and baldness. Artistic skill is the soul to every hair transplant. Even if the doctor has access to the most technological advanced equipment and tools in the world, a hair transplant will not be successful without the necessary design elements in place. This is what makes hair transplantation so unique, it is truly a fusion of technology and artistry. At some point during the surgery, a top notched doctor will instinctively transform himself to become the art director of the operation. Decisions will be made about the placement of each graft, the angulation of each placement, the temple closure, the density and the transition from one part of the scalp to the next. This is the part of the procedure where intuition matters more than anything else. Dr. Mwamba is well renowned for his artistic skills. 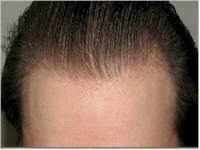 His hairline designs are subtle, seamless, intuitive and effortless. Every hairline design rivals what nature has given us. 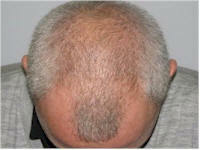 Below is an example of Dr. Mwamba's highly acclaimed artistic skills in hair transplantation.